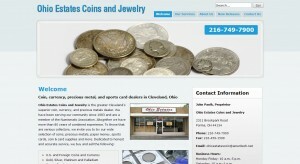 Ohio Estates Coins and Jewelry address, phone, website, hours of operation, and more. 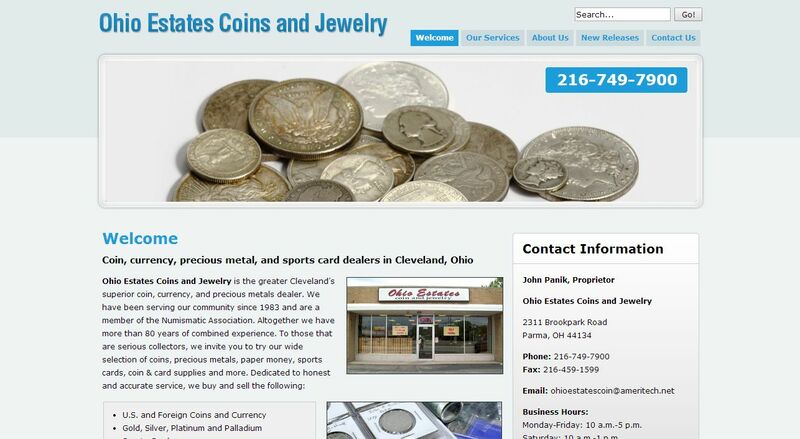 Ohio Estates Coins and Jewelry is the greater Cleveland’s superior coin, currency, and precious metals dealer. We have been serving our community since 1983 and are a member of the Numismatic Association. Altogether we have more than 80 years of combined experience. To those that are serious collectors, we invite you to try our wide selection of coins, precious metals, paper money, sports cards, coin & card supplies and more.